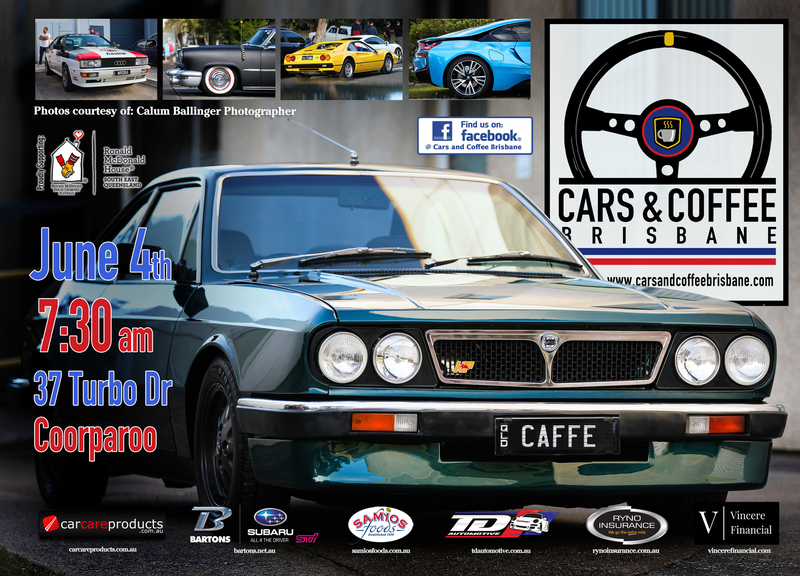 We’re on again on the 4th of June from 7:30 am – Bring along your vintage, exotic, rare, classic, or historic vehicles for some fine food, coffee and great conversation. We’ll be there no matter the weather. As usual our thanks go to the following businesses for their ongoing support – Samios Foods, TD Automotive, Ryno Insurance Services Pty Ltd, Car Care Products/ The Detailing Studio, Bartons Bayside, Ronald McDonald House South East Queensland and Vincere Financial. Keep in mind that there are a couple of businesses trading on Saturday morning – Please refrain from parking at the Bone Clinic at 26 Turbo Drive, or the Florist at 2/54 Turbo Drive. and finally, dispose of your rubbish and try and leave the locations as you found them. Keep in mind that there are families around so please behave responsibly.